On sunny days like this, I am always reminiscent of Santorini. It is an island filled with a mystical aura. An island that embraces and overwhelms you. 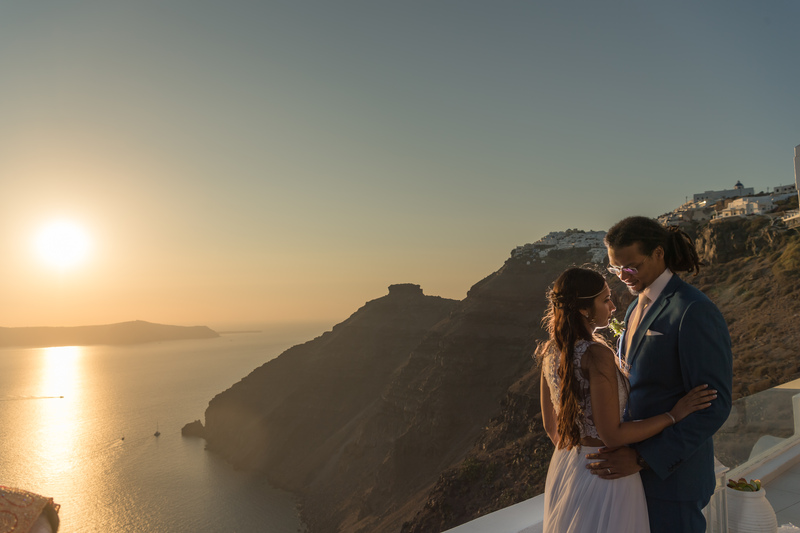 Santorini awakens emotions you have never imagined were there. This is unique on its own. 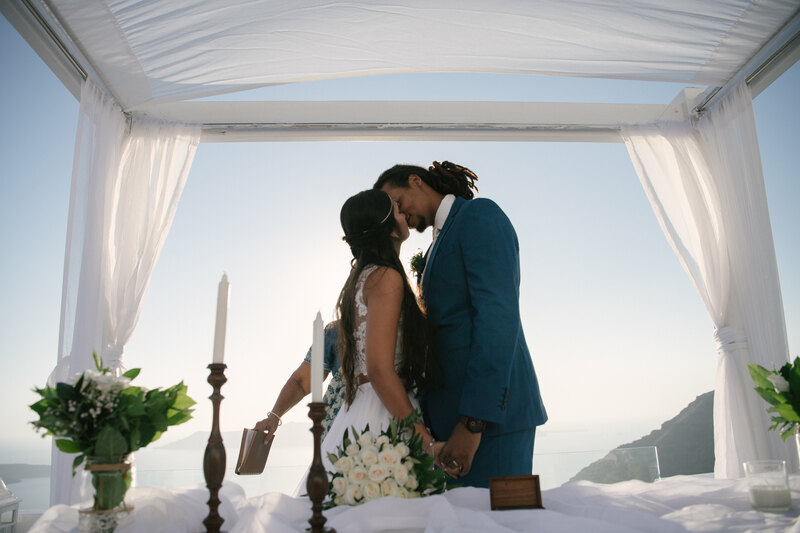 Especially when couples like Parmita and Mazin trust Photopek and me on their most wonderful day. 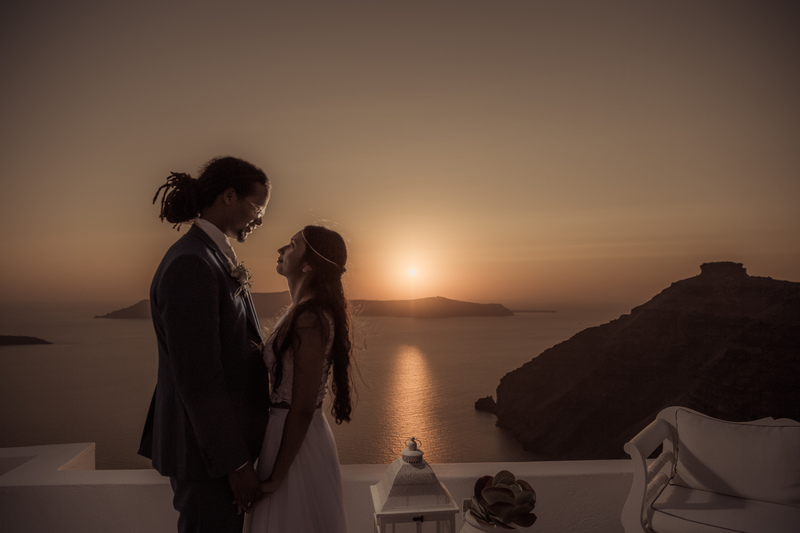 This is when I feel blessed to return to the island for a lovely Santorini wedding. 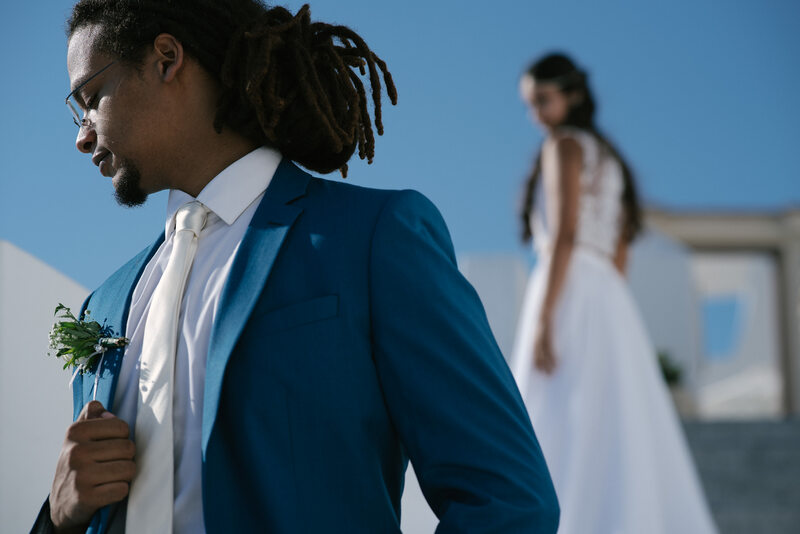 A wedding to keep alive forever, through pictures highlighting the genuine feelings of the couple and guests, as well as the mesmerizing landscapes. 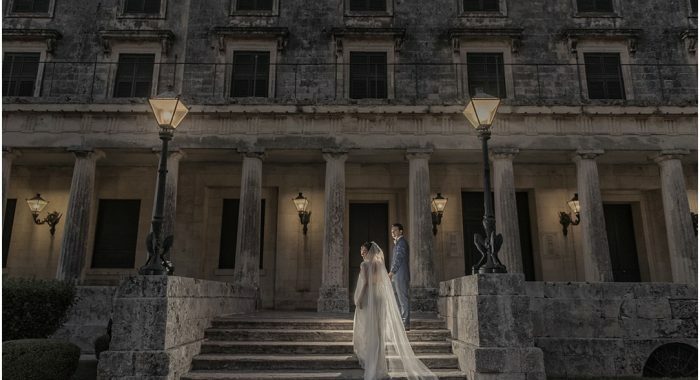 The setting was ideal. 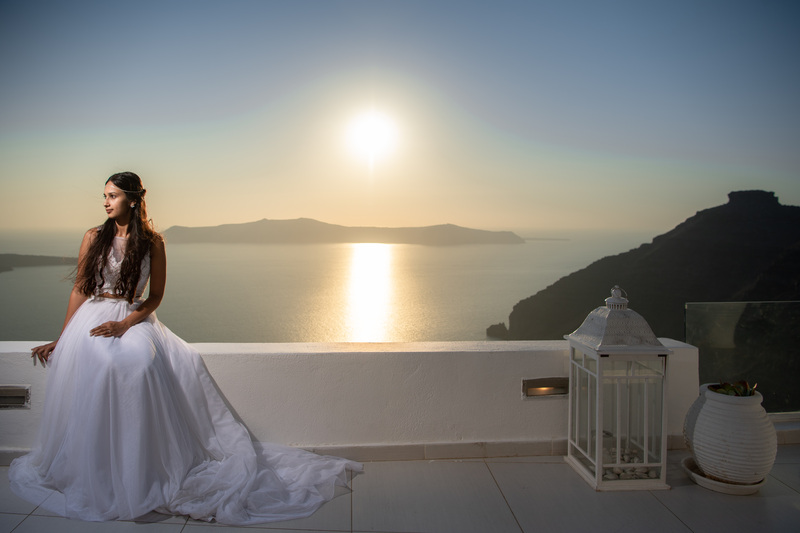 Pure white, Cycladic bliss is exactly what couples look for. 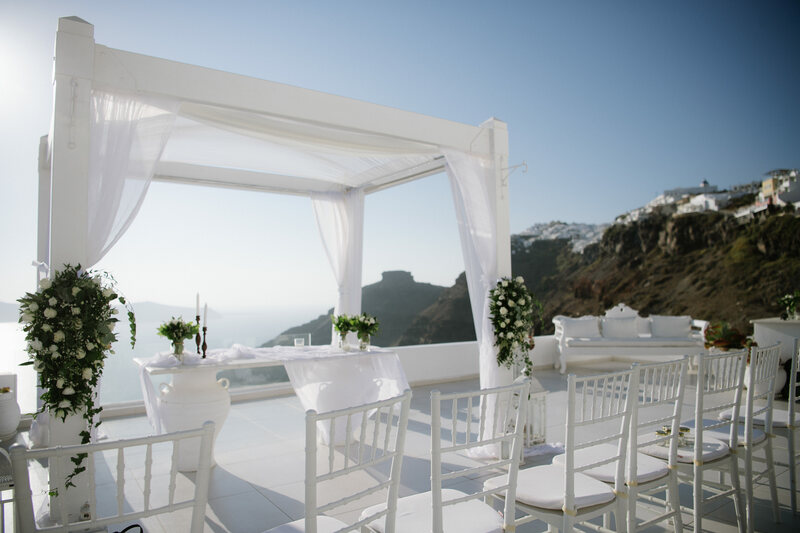 It is the ultimate scenery for a magical Santorini wedding, destined to be imprinted in their hearts and minds for a lifetime. 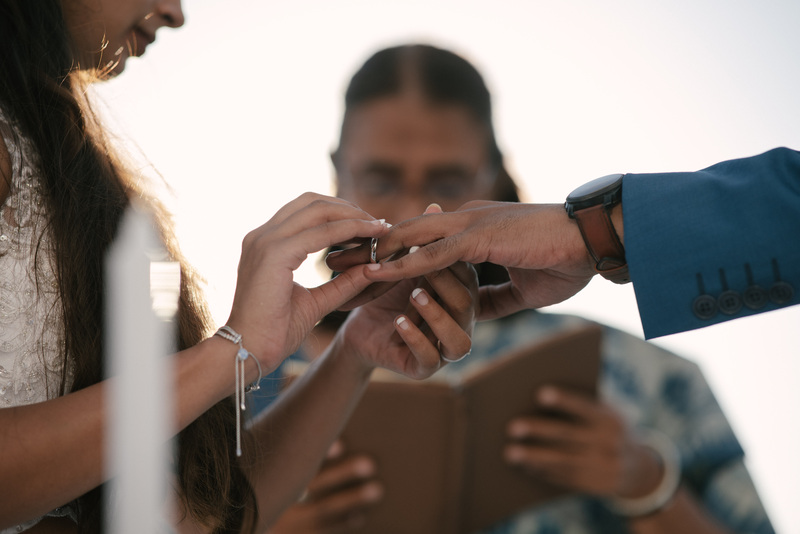 The wedding rings, symbolizing the eternal bond of two people. It always fascinates me how this is a universal language, spoken by everyone in the world. A kiss “seals the deal” and makes all dreams come true. In Santorini, you feel like you are floating on air. And this is not entirely a lie! The sun is mirrored on the sea. And the beautiful bride is contemplating what has just taken place. Wow, such original and authentic emotions. Happiness, love, devotion, trust and expectations for the future. This is what I am searching for in every photo I take. A little more artistic, this one! 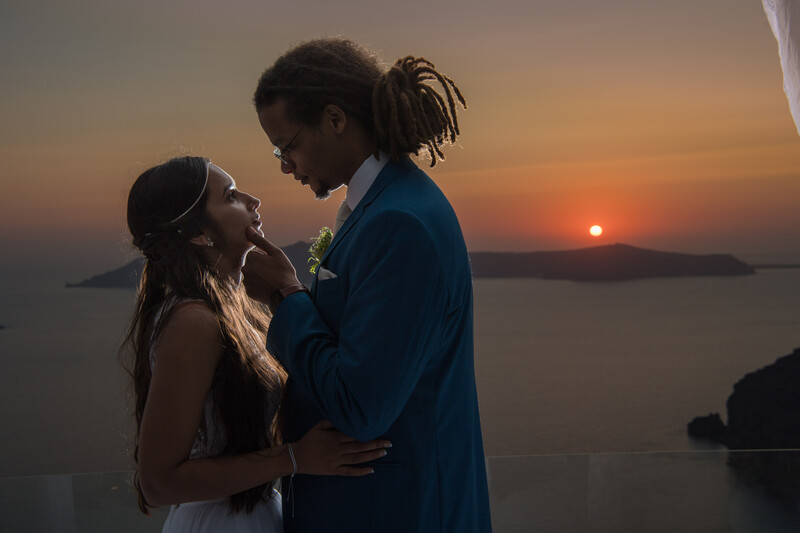 Each Santorini wedding holds secrets that are ready to be revealed. Pure light, pure brightness! There is nothing as stunning as the unpretentious simplicity of the island. Skaros rock, one of the most photographed places in Santorini. And its beauty justifies all of those pictures, right? 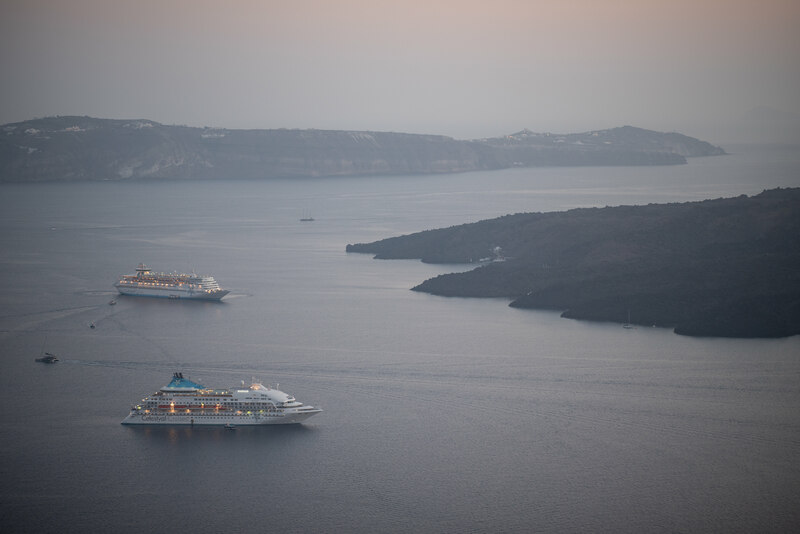 The ships are traveling to and from Santorini. The Aegean Sea is the ultimate escape for dreamers, lovers, adventurers. The epitome of Greek beauty! And sunset, pure sunset, is mesmerizing!